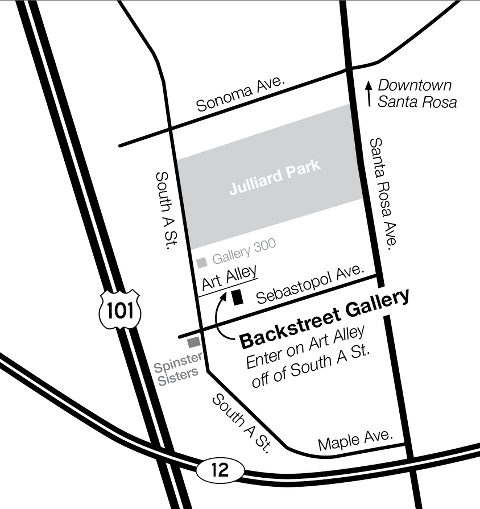 Saltworkstudio is located in Backstreet Gallery in Santa Rosa, in the SOFA Arts District. Park near Chroma Gallery at 312 South A Street, Santa Rosa. Walk down Art Alley behind Chroma Gallery to the big Picasso mural. You’re there! If you are using an iPhone or Google Maps, please use 312 South A Street, Santa Rosa, then follow the directions above.